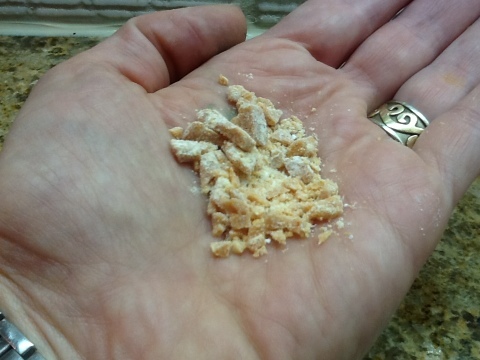 Pop rocks | ARTZCOOL'S BLOG! 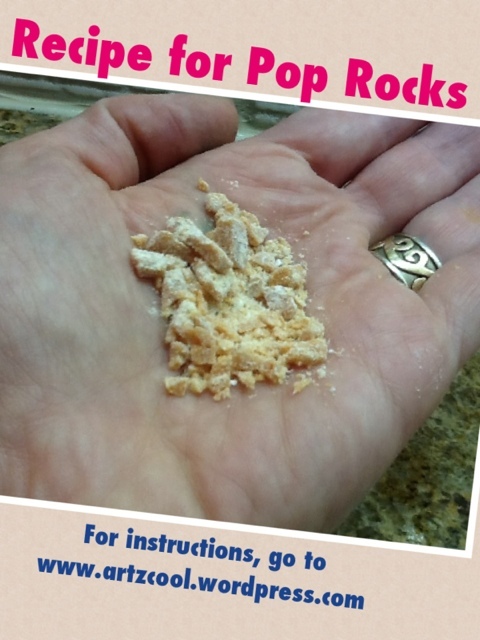 I heard you could make your own Pop Rocks somewhere, but apparently the real pop rock recipe involves a whole lot of pressure that would be extremely dangerous to try at home. 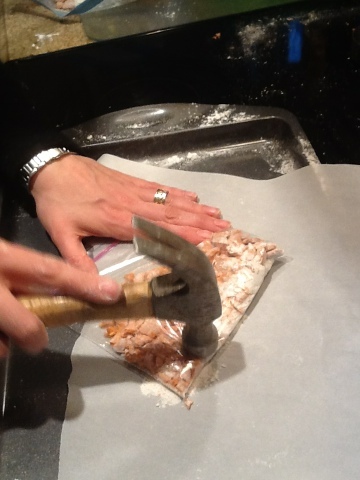 So, here is my version of the recipe for homemade pop rocks. 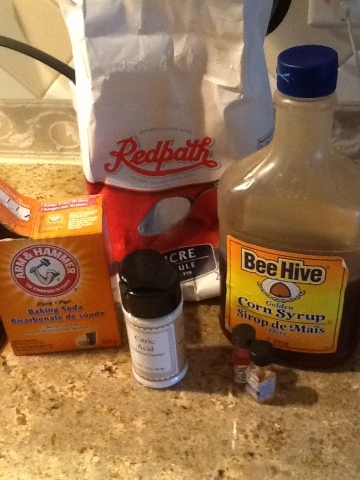 In a large pot, mix 2 cups of sugar with 1/3 cup of corn syrup, and stir. 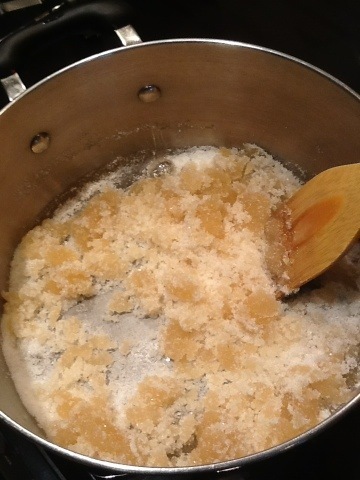 Add 1 tsp water, or just enough to make the sugar easier to stir. 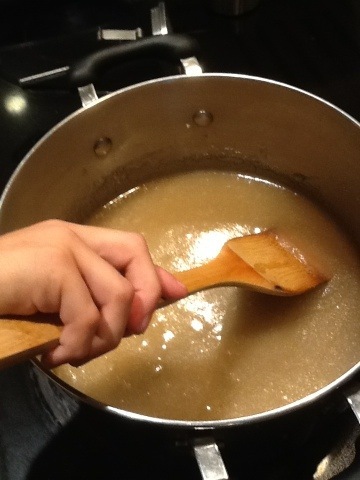 Then, keep stirring until the mixture comes to a rolling boil, then stop stirring. 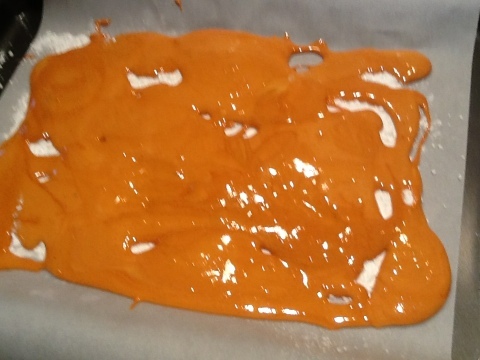 While you are waiting, prepare your cookie sheet by covering it with waxed paper, and spread out about 1/2 cup of icing sugar, and 1/4 cup of citric acid on the waxed paper. 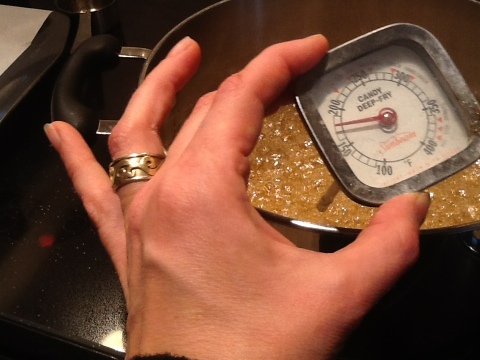 If you are the measuring, taking temperature sort of personality, use a candy thermometer to boil it until it reaches 300 degrees. 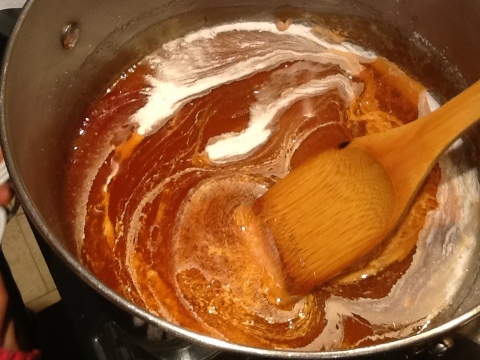 If you are more of an estimating and make a guess type of personality, then let it boil for about 5 minutes. 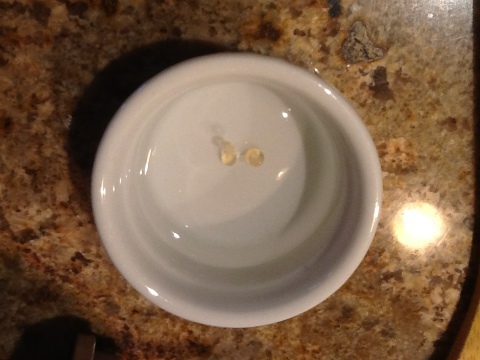 To test if it is done, let a drop fall into a small bowl of water, then take a bite, and if it is crunchy, and cracks when you bite it, it is done. If it is chewy, it needs a couple more minutes. If you are a take a reckless chance on burning your tongue type of personality, like me, then put a tiny drop of the boiling mixture into your mouth, and if it is crunchy, it is ready. 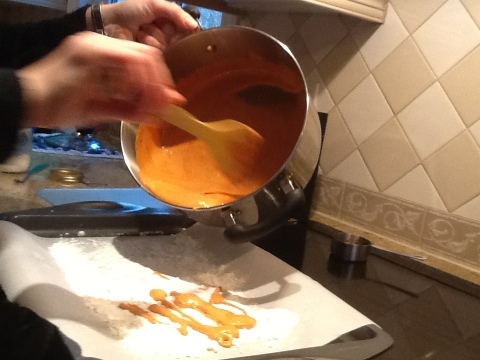 Once you are satisfied that the mixture has cooked to the right temperature, take it off the heat for a couple minutes (measuring type personalities, wait until it cools to 275 degrees) and add your flavoring, colouring, and the baking powder. 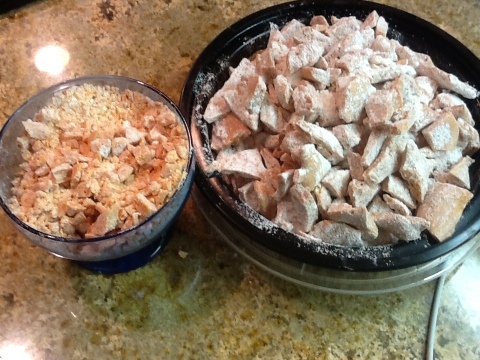 Stir quickly, it will foam up a little, then pour it onto your prepared cookie sheet. 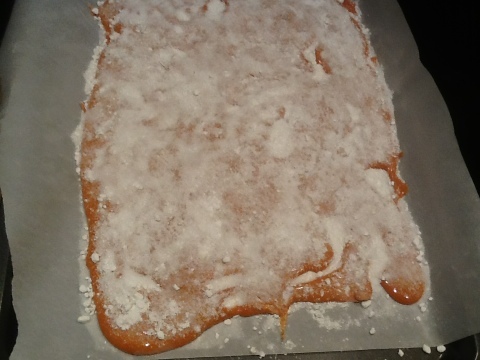 Anyways, sprinkle some more citric acid and icing sugar on top and let it cool. Then break it into pieces. They taste great in large chunks, but the real pop rocks are tiny, so I put some into a sandwich bag and smashed them up with a hammer. I have to be honest, I was a little disappointed at the lack of popping with these. 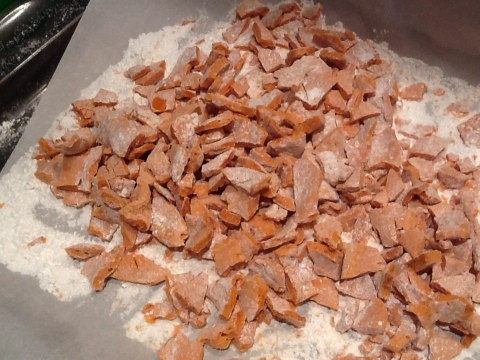 I would call it more of a slight fizzing… But they do taste really great! I love sour candy and the citric acid made them really sour. Maybe next time adding more soda would make them pop more? Well, no one else at my house seemed to mind….